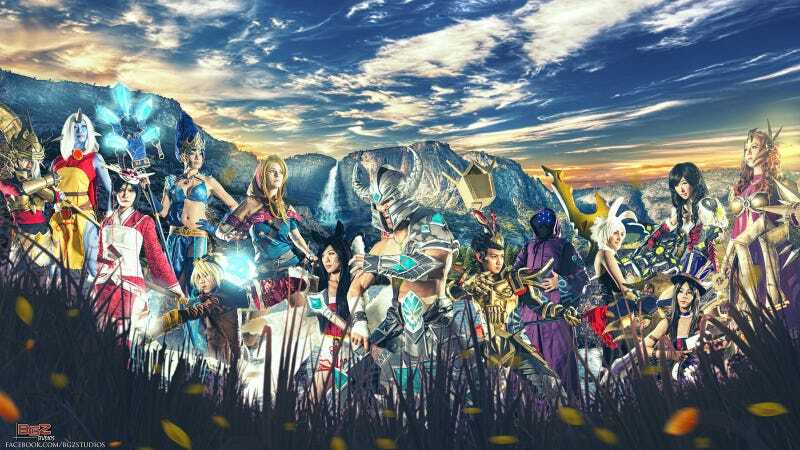 There are 14 League of Legends cosplayers in this image, which has taken over a year to put together. Not an entire year doing nothing but this, but that timeframe gives you an idea of how much work BGZ Photography's Darrell Ardita put into it, compositing 14 separate shots (taken at last year's Fanime in San Jose) into the single image. Photography/Photoshop nerds, he's even put a video together showing how it was done (it's also worth a look to see each original image, since they're great on their own).